UN will mark International Holocaust Remembrance with a series of events, including a special session of the UN General Assembly. The United Nations will mark International Holocaust Remembrance Day on Monday, January 28, with a series of events, including a special session of the UN General Assembly that will include speeches by UN Secretary General Antonio Guterres and Israel's ambassador to the UN, Danny Danon. Following the General Assembly event, the Israeli Mission to the United Nations, in cooperation with the Missions of Peru and Portugal, will hold an event to open an exhibition devoted to diplomats who are Righteous Among the Nations at the organization's headquarters in New York. UN Secretary General Guterres will take part in the Israeli event alongside ambassadors and relatives of the diplomats recognized as Righteous Among the Nations. 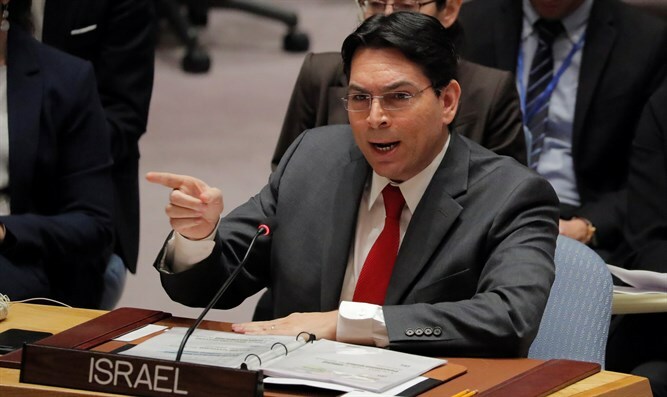 At the conclusion of the events, Ambassador Danon will lead a delegation of 40 UN ambassadors to Poland to visit the death camps, and then arrive in Israel. This mission is in conjunction with the March of the Living and the American Zionist Movement. "Some of the diplomats in World War II saw the Jews, first and foremost, as human beings. Truth and morality guided their way to, at great risk, heroically saved them from Nazi extermination. We all hope that the diplomats of our time will join Israel in the struggle against Anti-Semitism, and against the voices in Tehran that call for the destruction of the Jewish state,” said Danon.